Fort Docs is the document management company where record storage, scanning, document workflow and shredding are all under one roof. For over 25 years, Fort Docs has been a respected leader in document management solutions and advanced archiving systems for businesses of all sizes. Founded in 1991, Fort Docs is a respected leader in developing custom document management solutions and advanced archiving systems for businesses of all sizes. The Fort Docs imaging department is dedicated to providing personalized service in converting your documents from hard copy to a digital format that you can easily access online. 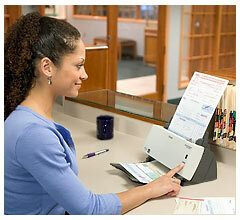 With advent of a new generation of capture products, the need for manual data entry has declined in recent years. Due to the low readability of handwriting by software applications, manual human data entry is still needed for many business documents. If your organization has hand written forms, explanation of benefits, applications or claims that need to be scanned and data entered, Fort Docs has the capability. Convert your blueprints and engineering drawings to PDF or TIF. 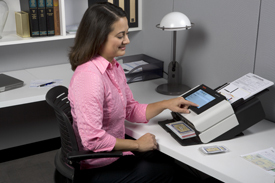 We scan in color, grayscale and black and white at up to 600DPI for construction companies, government agencies, maintenance departments and others. Many businesses find their paper files are taking up valuable office space, yet they’re unaware that Fort Docs offers services specifically tailored to their needs. Fort Docs stores your critical documents in a safe, secure environment designed to preserve the integrity of your files. We track and manage each box individually, and we retrieve and deliver your files in as little as an hour. Using eForms, you can easily create online forms (web forms) for common uses such as surveys, intake forms, applications and event registration forms. eForms also support features such as custom validation, business rules and XML forms for business applications. Once the form is created, we can supply the code for you to embed in website pages or internal intranets. And the data in a completed form can be utilized to automatically route the form to the appropriate party within your organization. If paper based processes and routing of files is inhibiting your efficiency, workflow services are for you. Automated workflows benefit your organization by creating a consistent process that cuts waste and time and saves money while making the process easy to monitor. Located in Santa Rosa, California Fort Docs services the Bay Area and much more.